This September, Capcom has been making a slew of announcements for both its upcoming and current titles. One of these announcements provided a massive update to Street Fighter V’s online content. As of September 25th, players are able to link their Fighter IDs to the Shadaloo Combat Research Institute website, which earns them a brand-new, customizable Dojo stage. 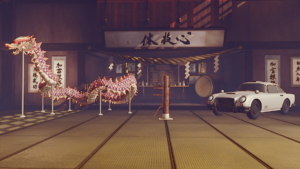 Players can decorate their Dojo with an array of accessories, including entire cars, pool tables, instruments, and more. Fighters may also apply to their friends’ Dojos, and increase the rank of their Dojo through gameplay. Dojo hosts may choose how they want their Dojo to level up, whether that be through Casual matches, Ranked matches, Battle Lounges, or Arcade Mode. On top of this, players can vie for the number one ranked Dojo across the Capcom Fighters Network, winning rewards in the process. The Dojo stage comes free through pairing players’ accounts with the Shadaloo C.R.I., which could hint at a desire from Capcom to have players to interact with the website. The Shadaloo C.R.I. itself is essentially SFV’s news website, updated by its development team. While the game’s official site offers a media kit, character move-lists, and links to the Capcom Pro Tour site, the C.R.I. is a completely different animal. The C.R.I. provides character frame data, strategies, patch notes, and even promotes community involvement through character popularity polls and exclusive wallpaper downloads. Fans can see a breakdown of character usage by month, as well as get breaking news for special events and take a peek at new characters – all under the guise of Shadaloo’s news station, of course. Requiring activation of this new mode through the C.R.I. could prompt greater player engagement with the site – but that doesn’t appear to be the ultimate end goal. The Dojos themselves present a slew of new opportunities for online player engagement, much in the style of Clans in other gaming genres. 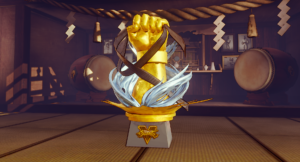 For instance, players can work toward earning select decorations for their Dojo by meeting certain requirements in-game, such as achieving high ranks within the Dojos themselves, or by winning specific readings through Menat’s Fighting Chance mode. According to Capcom’s blog detailing the update, Dojos are to act as “community hubs,” allowing players to create their own, custom communities that members must apply to in order to gain entry. Dojos may also be linked to players’ Twitter accounts, which could certainly aid in the growth of smaller communities and players. Dojos grow stronger the more their players interact with the game. Rankings rely on users’ engagement with Arcade Mode, Survival Mode, Extra Battle, Ranked Matches, Casual Matches, and Battle Lounges – leaving a ton of room for collective improvement. Dojos can also compete with one another to earn top spots on a monthly basis, which will receive unique, decorative accessories for their efforts. While the Dojo itself is just a customizable stage, the communities they offer could lead to major growth for Street Fighter’s player-base. Already, organizers of major weekly events are building and customizing Dojos just for their tournaments. Dojos could prove incredibly useful in unifying local communities and act as a means for new players to find other fighters in their area, as well. The Dojo mode is another addition to SFV’s slew of special features. With Menat’s Fighting Chance, Extra Battle Mode, and Survival Mode, SFV is gearing up to offer the most content out of any of its previous iterations. However, the Dojos offer much more than that – they allow for community expansion, and increase the demand for online play. This new era of Street Fighter could very well usher in a similarly new surge community engagement – but we won’t know for certain until it gets here.